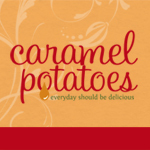 A Caramel Potatoes family favorite is our Caramelized Jalapeno Burger with Pepper Jack Cheese. So, turn up the heat and give it a try. Do you have a favorite burger that you love? Well, Private Selection is giving you the opportuinity to share the endless possibilities of toppings, and tastes that the Private Selection “Burger Nation” has to offer. In our melting pot of a nation, each region has its individual tastes and flavors. What makes the burger in your neighborhood one of a kind? Private Selection and the Kroger family of stores want to hear what makes your local burger the best in the nation, and they’ll give you a free dessert just for sharing. All it takes to receive a coupon for a free dessert is to submit a recipe, quick tip or enter the sweepstakes. See Official Rules. 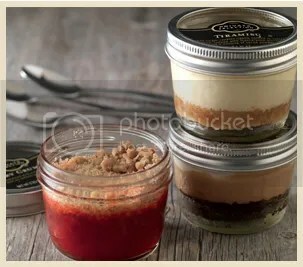 Mason Jar Desserts are available in ten delicious flavors which include Peanut Butter, Chocolate Brownie, Salted Caramel Cheesecake and Cherry Crumble. NO PURCHASE NECESSARY TO ENTER OR WIN. Offered only to legal residents of the 50 U.S. including D.C. (except FL, NY, RI, AK and HI), 18 or older. Void in and to residents of FL, NY, RI, AK and HI, and where prohibited by law. Participants must have a participating Kroger Shopper Card which may be obtained without cost. Begins on or about 9:00 a.m. ET April 28, 2014 and ends on or about 8:59 P.M. ET June 6, 2014. Limit 1 entry per person/Shopper Card account/household during the Promotion Period. For prize details, odds of winning, and limitations, see complete Official Rules.